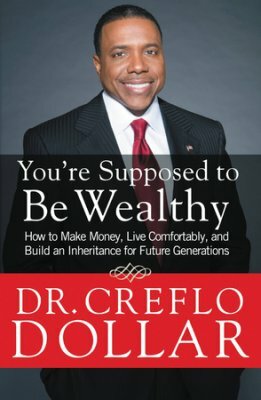 Move over Bob Tilton, Creflo Dollar is in the house! "Everything produces after it's own kind. That's the law of Genesis! Everything produces after it's own kind. 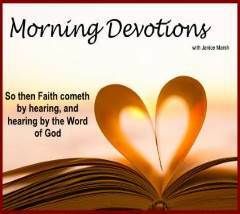 Will God set a law into motion and then not follow the law that He set into motion? Absolutely not! Where did you come from? Who did you come from? Everything produces after it's own kind. Horses get horses and dogs get dogs and Gods produced gods! Gods produced gods! Ya'll didn't hear that. Horses produce horses and dogs produce dogs and Gods produced gods! Horses produce horses and dogs produce dogs and cats produce cats and fish produce fish and God produced gods! And then God produced more gods with flesh and then gods with flesh produced more gods with flesh. And then gods with flesh produced more gods with flesh until THE God of gods with flesh showed up one day with flesh and dwelt among the other gods with flesh to demonstrate to the other gods with flesh how to have authority over the flesh! So follow Him! Follow Him! This is our history I'm telling you about! This is the history the religious church wants to hide away from you so you don't know who you really are!" "I'm going to to tell you what blasphemy is! When God says you are the righteousness of God and you go around talking about, 'I'm unworthy.' That's blasphemy!...Blasphemy is when you go against what God has said about your true self! OOOOh! We are so unworthy! Shut up with that blasphemy!....You are not a sinner saved by grace. You are sons and daughters of the Most High God! You are gods! You are God's reflection on this planet. For you to say that thing is for you to count the blood of Jesus worthless. His blood was sent to cleanse you of your sin and you going around saying that you are still a sinner! What's the matter with you?" "Words control the body. Oh glory be to God! And regardless of what's going on in your physical body, you got to talk to it. I'm telling you I talk to my major organs...I speak words to it...The tongue in your mouth will control every inch of your physical body! Do not tolerate sickness and disease as long as you got a working tongue that can speak the established Word of God! [Claps] Uh, that's good!" Why does Creflo Dollar wear glasses? Why are his eyes sick? Isn't it amazing that he can stand and declare perfect health and yet not have it himself? "I have equality with God, chats my way of thinking. Now somebody says, "Well, it's hard to think that way," Well, keep saying it, "I have equality with God" talk yourself into it! You've talked yourself into other things!" The following are excerpts from Creflo Dollar's program Jesus' Growth into Sonship, dated December 8, 15, 2002. "But Jesus didn't show up perfect, he grew into his perfection. You know Jesus, in one scripture in the Bible he went on a journey, and he was tired. You better hope God don't get tired. Isaiah 50 says, 50, 60, somewhere, says where we have a God who fainteth not, neither is weary (Isa. 40:28). But Jesus did, if he came as God and he got tired, he says he sat down by the well 'cause he was tired. Boy we're in trouble. And somebody said, well, Jesus came as God. Well how many of you know the Bible says God never sleeps, nor slumbers. And yet in the book of Mark we see Jesus asleep in the back of the boat. Now to my recollection, preachers have always taught and preached that Jesus came to earth both Man and God, not merely Man. Therefore I am not sure who Mr. Dollar is referring to when he says "fantasy preachers". "Some people get mad when I talk about money, they say, 'Whenever I see Dollar he's talking about money!' That's because you ain't got none! I ain't talking to you!" The following is an excerpt from Creflo Dollar's program "Made After His Kind", dated Sept. 15, 22, 2002.
a Gulfstream-3 private jet. Fellow Atlanta ministers, schooled in the humble tradition of Reverend Martin Luther King, have criticized the 43-year-old Dollar for putting money before ministry. 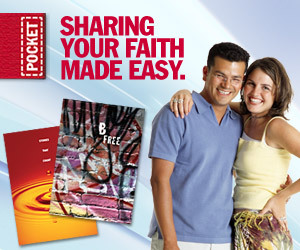 WCCI members can tithe online by setting up automatic account withdrawals managed by the church. Creflo Dollar, good looking, suave, sophisticated, charismatic, a dynamic speaker. A very convincing combination for sure, but if what he is preaching is not of the Bible and I believe it is not, then many many thousands upon thousands if not millions are being deceived by this man and are in jeopardy of being led down the wrong path which leads to destruction.